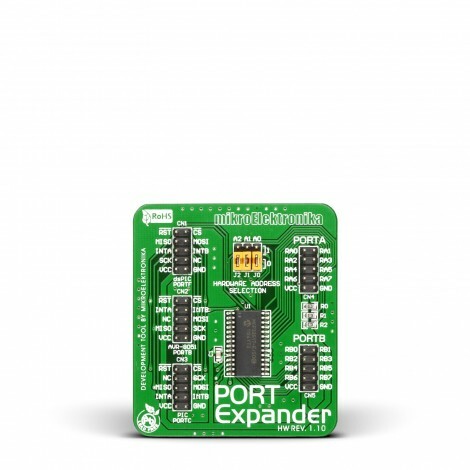 The Port Expander Board is an accessory board that includes a 16-bit I/O expander MCP23S17. This expander employs SPI(tm) clock up to 10 MHz. The board is ideal for expanding number of microcontroller pins on your prototype device. Board includes a 16-bit I/O expander MCP23S17 with SPI clock speeds up to 10 MHz for higher throughput applications. Three HARDWARE ADDRESS SELECTION jumpers allow you to configure board’s address and connect up to eight devices on the bus. Controller also supports interrupt-on-change feature. 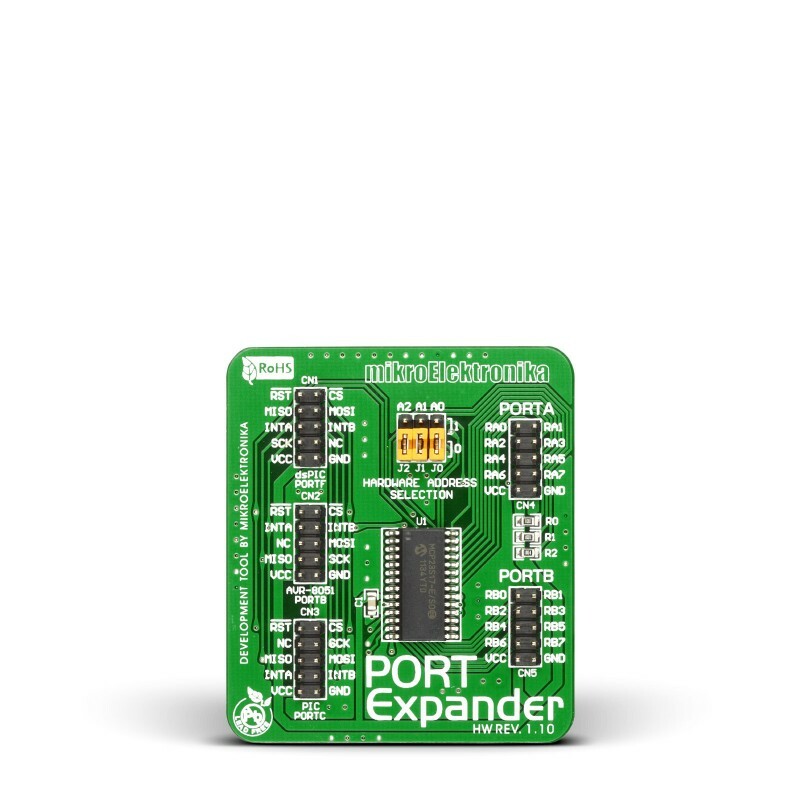 Port expander board is convenient for adding 16 GPIO pins to your device. Key Features SPI clock speeds up to 10 MHz. 16 GPIO pins divided into two 8-bit PORTs. Key Benefits IDC10 headers simplify connections.